Your junior, one, two, or three bedroom apartment is as practical as it is stylish, with a modern kitchen, ample closet space, and contemporary wood flooring. 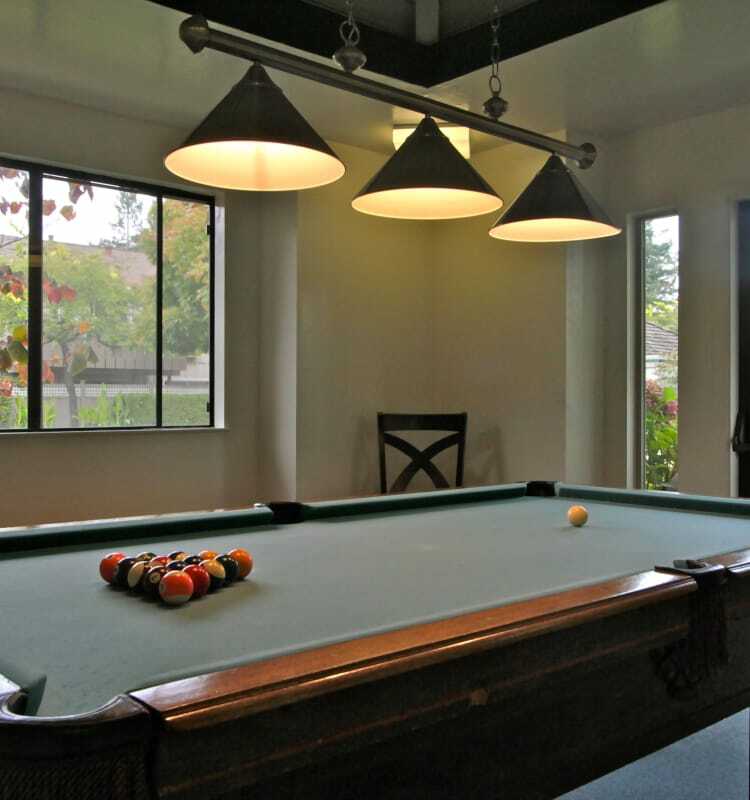 Outside your home, you’ll find a variety of amenities to help you through the week and enjoy your downtime. The Hub Co-Work space offers complimentary WiFi and a 65-inch HD flat-screen TV with Chromecast, perfect for working remotely when you’re offsite. When chores are the work at hand, utilize your in-home Washer/Dryer, or take advantage of the three onsite laundry facilities with WaveRider Technology. If relaxation and play are on your mind, head down to the option of two pool settings, or the professional, all-weather nine-hole putting green with chipping area for some serious decompression time. Work out the stresses of the day with a trip to the onsite fitness center, then sooth your aching muscles with a trip to one of our two saunas. You can even take a quick walk to the bustling Castro Street area and treat yourself to local fare at one of the neighborhoods best eateries. It’s all at your fingertips when you choose The Shadows. 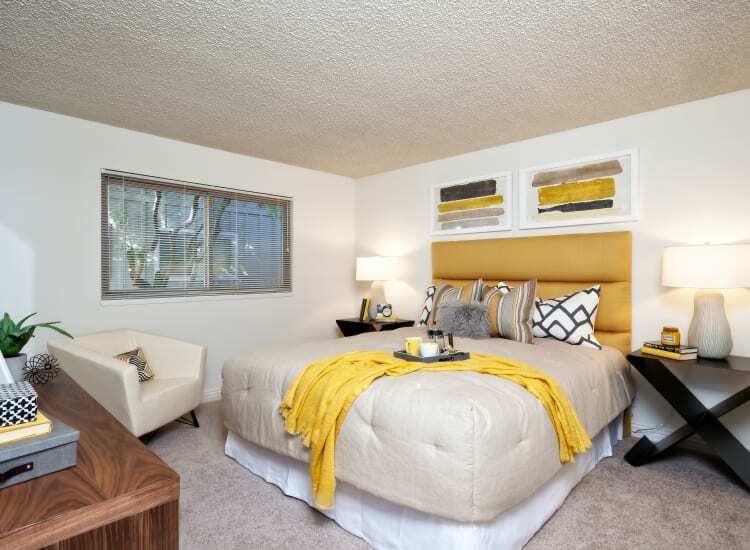 Schedule a tour today to see our spacious apartments in Mountain View, CA. 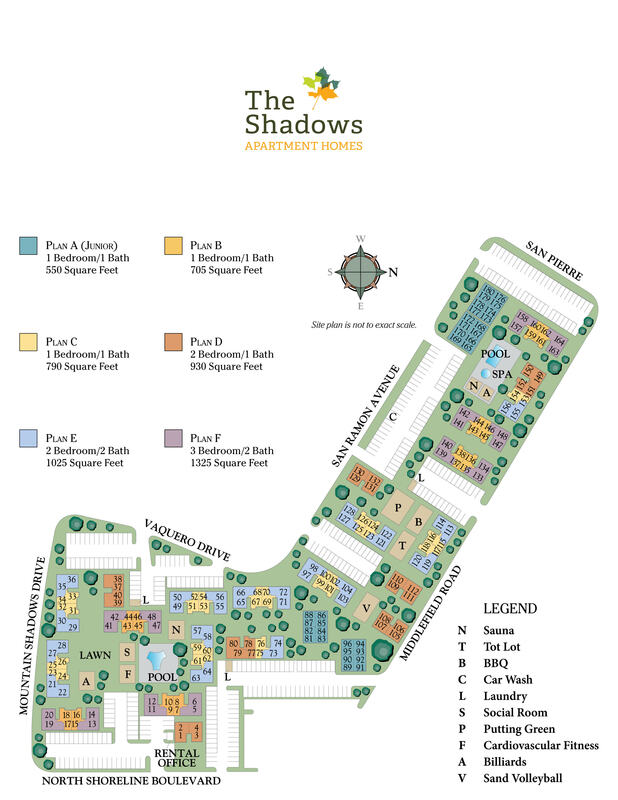 Our staff are always ready to give you a personalized tour, and you can view a map of The Shadows here.